Summer is one of my favorite seasons. It is a time to de-stress, spend time with family and have time to yourself to do whatever you enjoy doing. Summer is also a time when many of us school-based music therapists do a lot of planning. I find that planning ahead helps lessen my stress. Instead of pulling all-nighters and being in a rush the morning of, I give myself time to think of creative ideas. 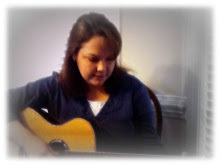 I take the time to research what other music therapists are doing and create my own ideas as well. Over the years I have found that if I procrastinate with planning, I feel more stressed and not as creative. If you're a school-based music therapist and you are trying to plan ahead for the upcoming school year, you may be interested in my e-book: "The Back to School Batch". The Back to School Batch is a digitally downloadable songbook designed with the music therapist and special education teacher in mind. It features 12 original songs that cover a variety of daily topics and routines that students learn in the classroom. With the purchase of the E-Book, you will receive sheet music for each song, ideas and suggestions for implementation for each song, as well as instrumental accompaniment tracks and mp3's of each song. These songs are ideal for groups as well as one-on-one clients and are appropriate for students with a wide range of diagnoses. This E-Book is guaranteed to help you teach More with Music! To find out more and to purchase "The Back to School Batch", click here.